How to encourage researchers to critically reflect on the socio-ethical context of their work? That is the central research question in this thesis. It starts from the assumption that the neutrality view – the view that researchers have no business with the social and ethical dimensions of their work – has become untenable, at least as far as applied sciences such as nano- and biotechnology are concerned. 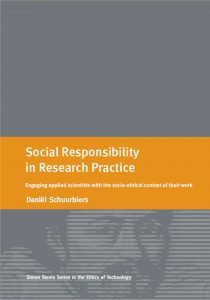 Instead, this thesis adopts a broader view, one in which the social responsibility of researchers includes, in addition to their responsibility to adhere to the internal norms of the research community, the moral responsibility to critically reflect on the socio-ethical context of their work. 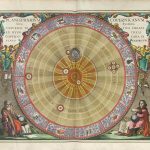 This normative viewpoint itself is not uncommon: the argument that researchers should integrate broader ethical and societal considerations in their cogitations has been put forward by philosophers and sociologists of science as well as by concerned scientists at various moments in history. Yet the neutrality thesis remains a dominant frame of reference in daily research practice. The specific contribution this thesis aims to make to the ongoing debate is to ‘revalue value-neutrality in the applied sciences’: to explore the opportunities and constraints for realising a broadened conception of social responsibility in daily research practice. 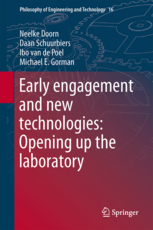 This is done by way of three empirical interventions: the implementation of a code of conduct for scientific practice, interdisciplinary collaborations between social and natural scientists, and the development of ‘science and society’ education.